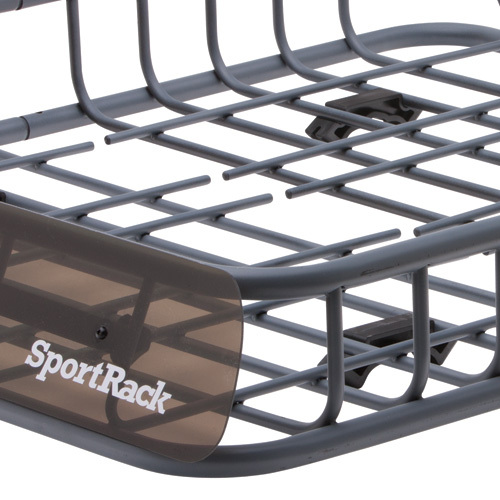 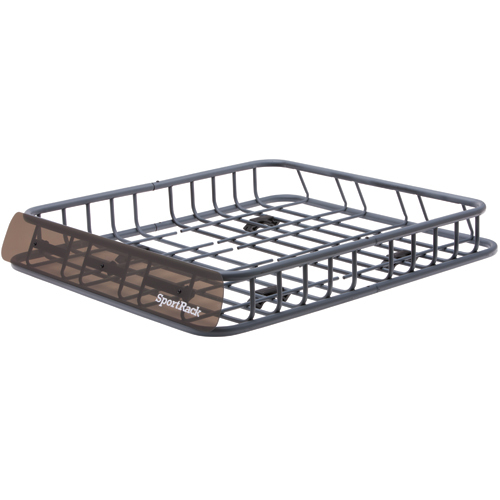 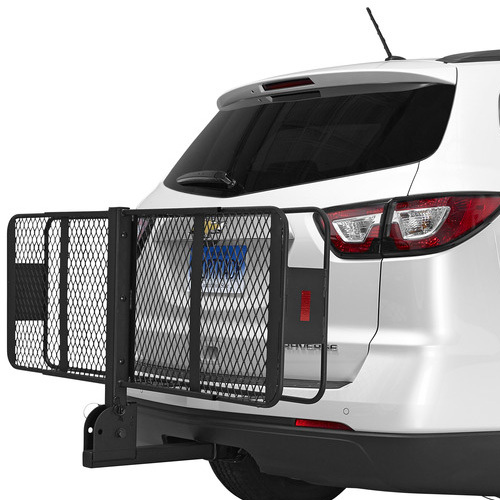 Maximum crossbar width cannot exceed 3.5"
The SportRack Vista Roof Rack Cargo Basket Luggage Carrier sr9035 adds additional carrying capacity to your pre-installed roof rack. 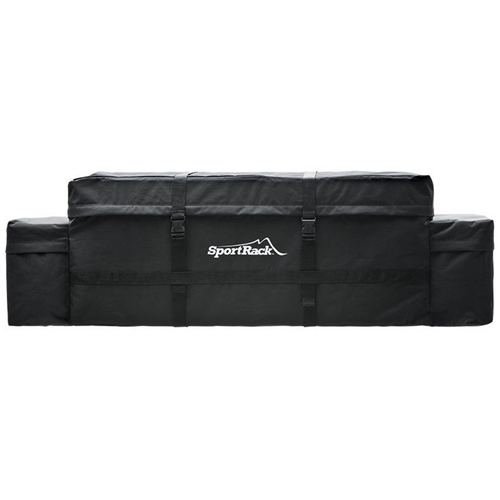 Carry luggage, coolers, golf clubs, camping gear and much more. 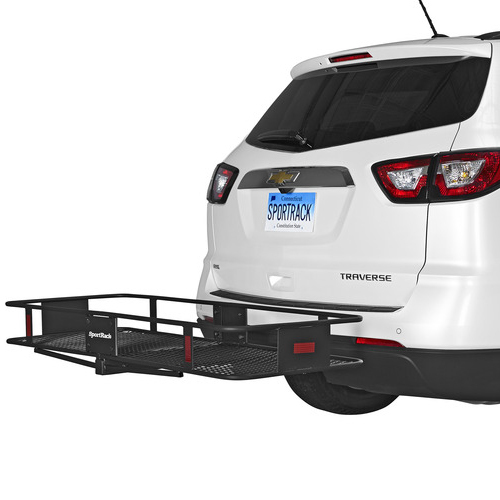 The Vista Cargo Basket is easy to install and remove and includes a custom fairing (wind deflector) for a finished look. 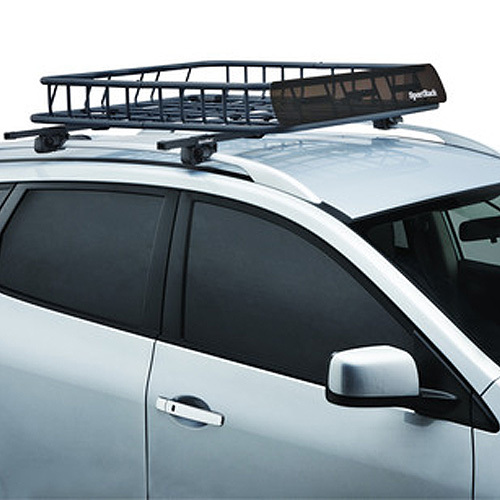 The Vista Cargo Basket mounts directly to most factory and aftermarket roof racks. 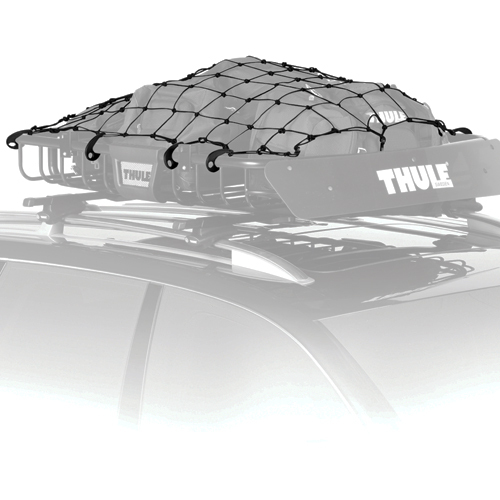 The Thule 692 Cargo Net is an ideal solution for quickly securing your cargo (sold separately - see below).